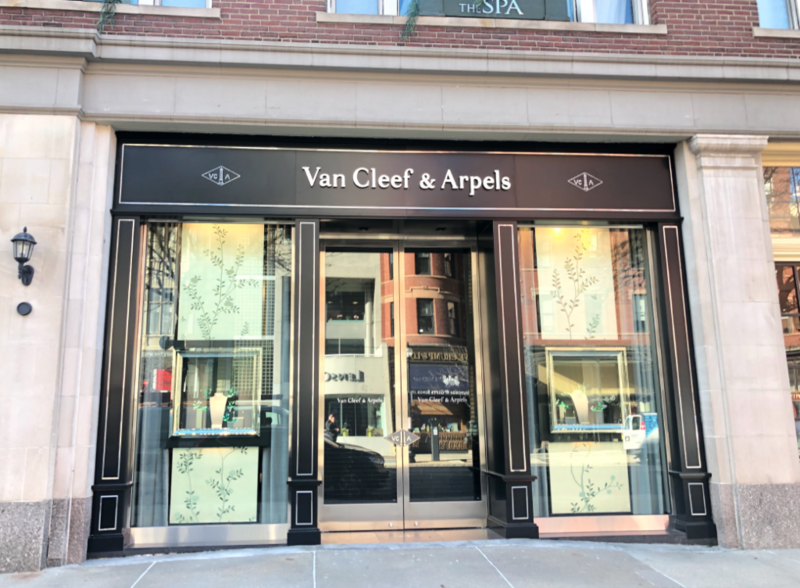 Richemont owned French jeweler Van Cleef & Arpels opened its first Boston boutique at 40 Newbury Street last weekend. Hirsch Construction Corp. brings to life the most exciting locations for the nation’s best brands in a plethora of industries. 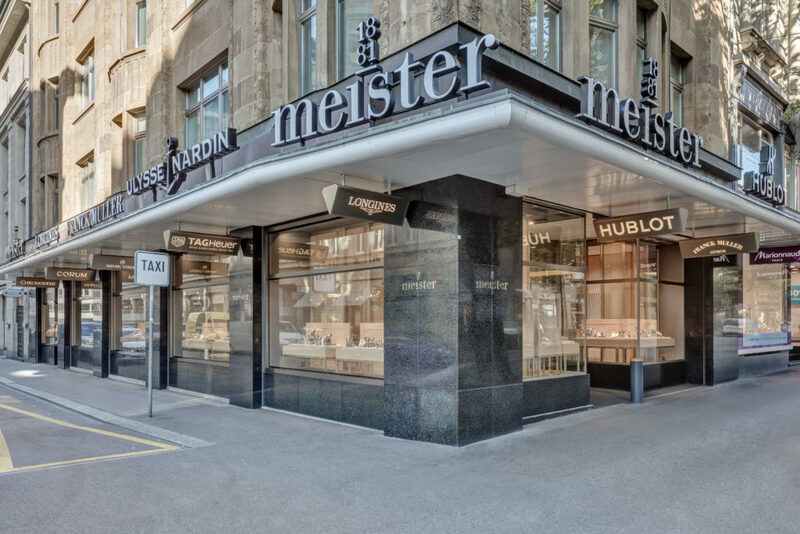 Watches of Switzerland’s first U.S. flagship opened in New York’s SoHo, premiering a new design developed in collaboration with MNA. The 8,000-square-foot space includes a fully functional bar created in partnership with Death & Co.—one of New York’s most influential cocktail lounges—and a library filled with books curated by Esquire Magazine’s fashion director. Shawmut Design and Construction is the General Contractor who has worked on the project. 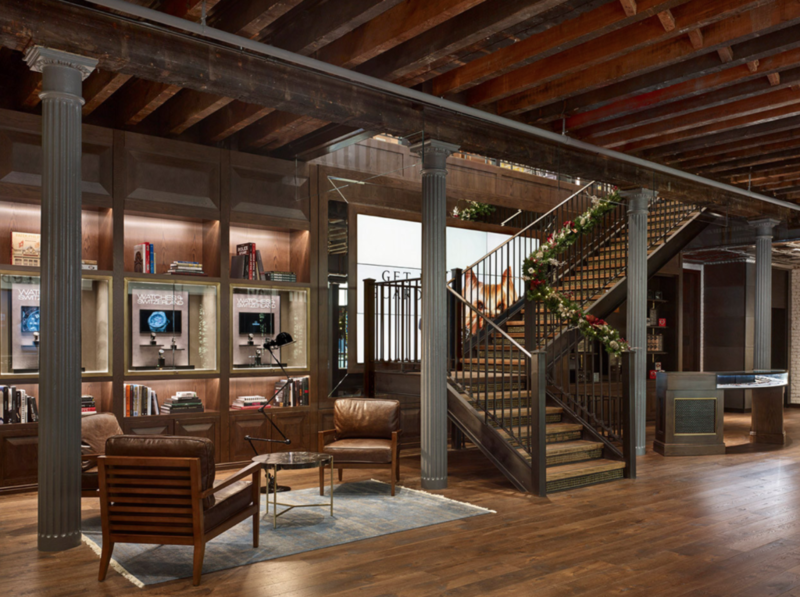 Enhancing the existing elements of the original ironworks building, Shawmut restored the wood floors, original columns, and exposed brick. 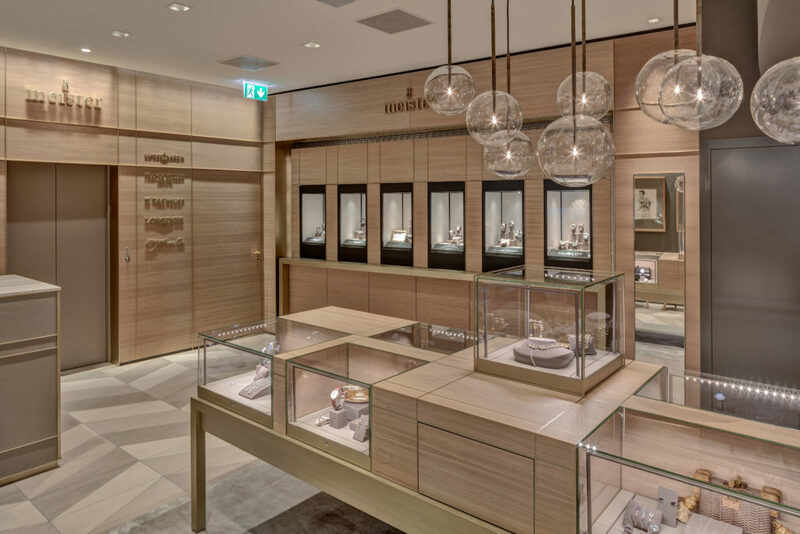 Shawmut is also partnering with Watches of Switzerland on its second New York location at Hudson Yards. 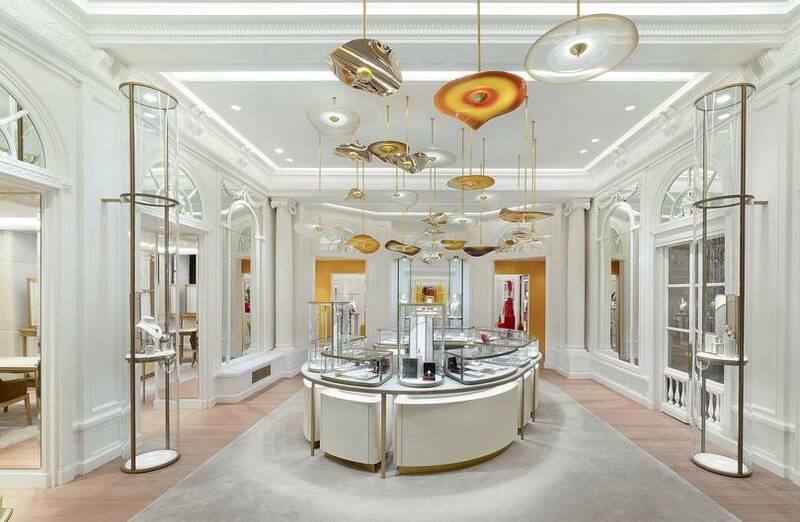 The Grade II-listed five-story building in the heart of London on New Bond Street has been home to French jewelry and watch-maker Cartier since 1909. Jacques Cartier’s early travels to India led to Cartier’s iconic Tutti Frutti style. This legacy is celebrated at the New Bond Street boutique with the unveiling of a unique tiara from Coloratura, Cartier’s latest high jewelry collection. 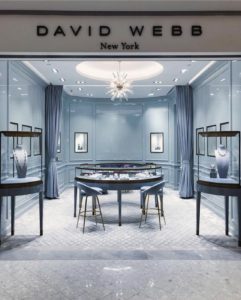 David Webb, The Quintessential American Jeweler, opened a new shop at the newly jewelry floor at Saks Fifth Avenue, New York. Atelier Design is the Architectural and Design firm who has worked on the project. 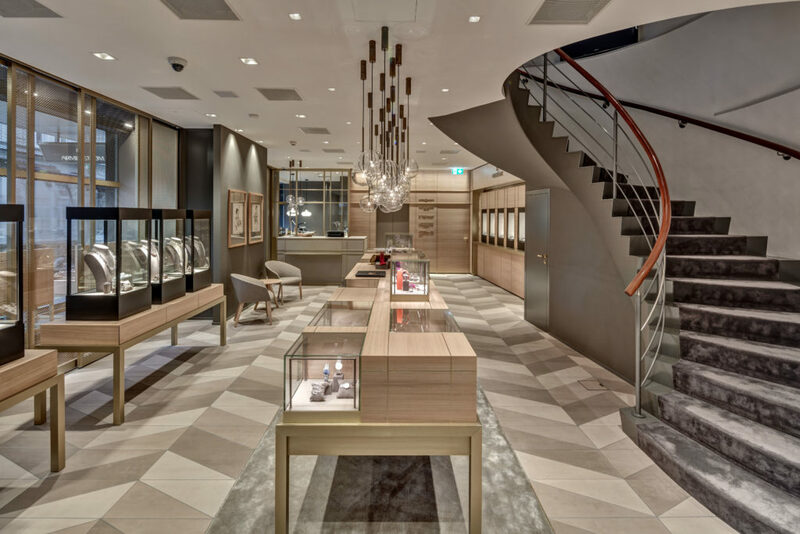 Atelier Design is a full-service architecture and interior design firm that creates environments for a wide range of retail, commercial, and residential clients in the U.S. and abroad.